Robyn has been with PARDS since 2012 . She holds her CanTRA Intermediate Instructor Certification. Robyn mentors our instructors through their CanTRA certification . 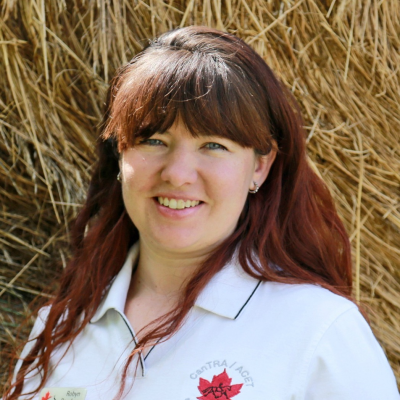 She has also earned certification in Equine Assisted Personal Development Coaching and Equine Canada Western Instructor of Beginners Certification. Robyn’s commitment to the continuing development of the PARDS Instructor team ensures our riders experience the highest quality therapeutic riding programs possible. Robyn as well has introduced riders to the Para Equestrian Video Competitions, which enables our riders to participate at a competition level against other riders across Canada. She offers pre video training as well as facilitates the videoing of the rides.